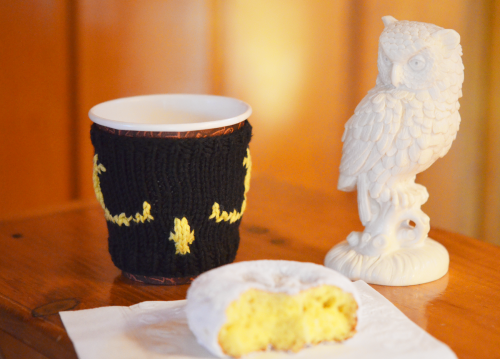 Us Great Northern ladies have been up to SO MUCH since our last update in March. We’ve held the first of two photoshoots! This first location had a great woodsy setting, complete with some Pacific Northwest-esque rain on our last day. 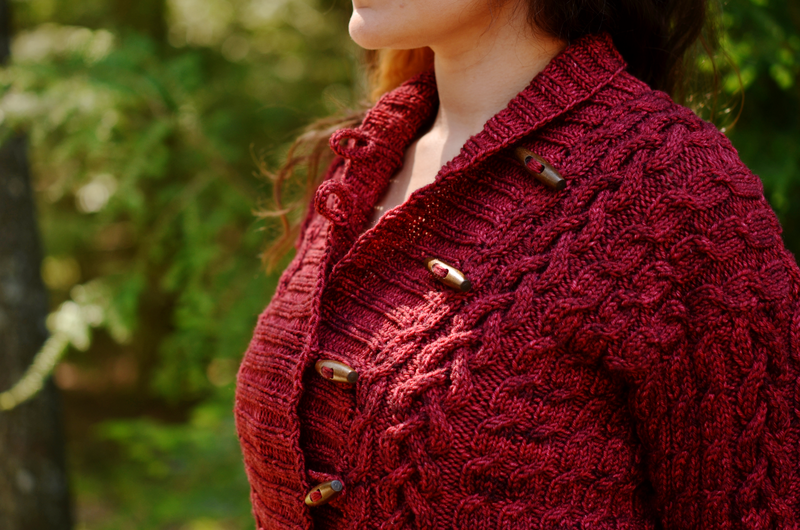 Top: Teresa is wearing Jelly Donuts (in Julie Asselin’s Leizu Worsted yarn). Bottom: Leah is wearing Too Dreamy (in Shibui Cima). We’re still taking pre-orders on the book and ebook, don’t forget! Right now, we’re working with our tech editor to get the patterns ready for layout; this work is what will be taking up a lot of our Great Northern time over the next few months. 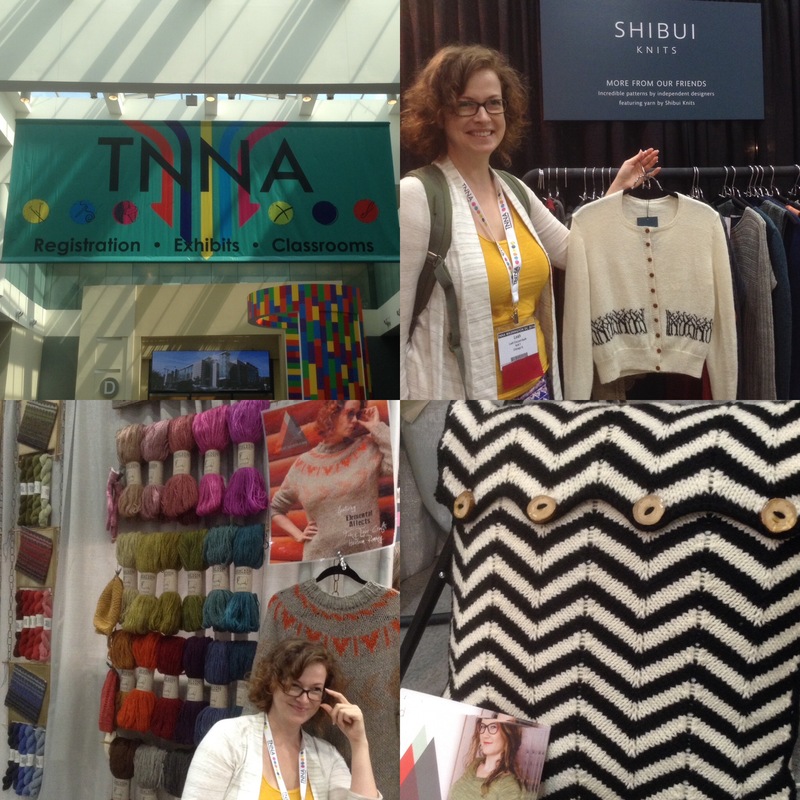 In early June, Leah and Teresa went to TNNA… and so did lots of Great Northern samples! A whole bunch of Leah’s samples were sprinkled across the show floor in our lovely yarn supporter’s booths; Leah’s From Another Place Crop Top also made an appearance in the fashion show! Thanks to Lorna’s Laces/Mrs. Crosby for making that happen, it was very exciting to see one of our pieces up there. 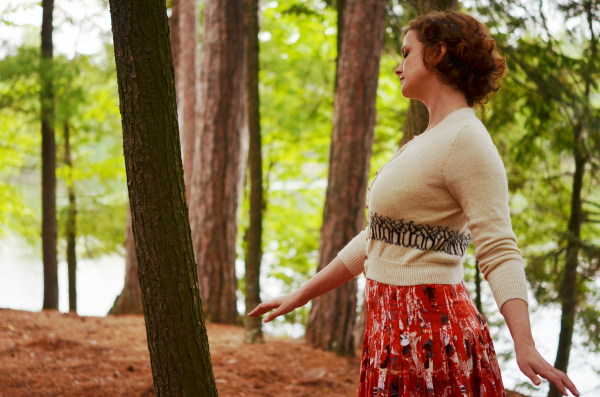 There’s going to be a SURPRISE pattern pre-release for Great Northern this month! This is totally top secret, but here’s a hint: it’ll be made from this gorgeous Lorna’s Laces Shepherd Worsted in the colorway Tokyo. Thanks for your support, folks! Here’s to a creative, fun summer. Previous Previous post: Great Northern Pre-order Event!